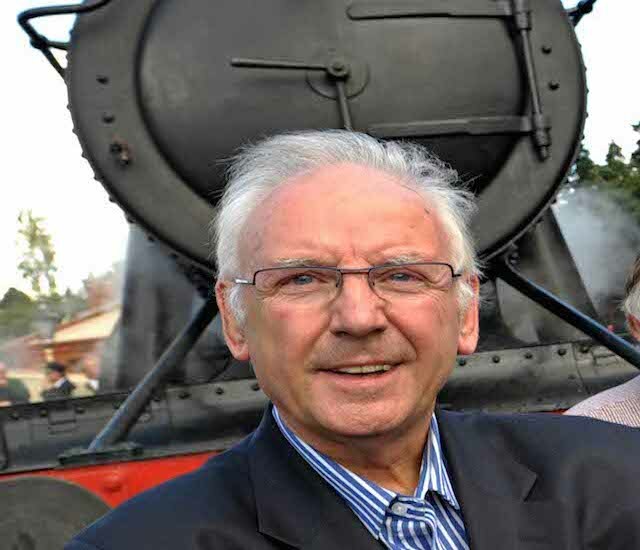 Pete Waterman talks to The Positive about his train passion! My amazing interview with Pete Waterman! Last month, Pop man Pete Waterman, launched the Railway Exchange Training Academy (RETA), which aims to train up future generations of rail engineers to ensure that railways have the right expertise to keep them maintained. This month, Pete then went on to sell some of his enviable model train collection to help pump funds into RETA. The Positive: Very briefly, are you able to tell us what the Waterman Heritage Railway Trust does? Pete Waterman: The Waterman Heritage Railway Trust works to preserve artifacts from British Rail. 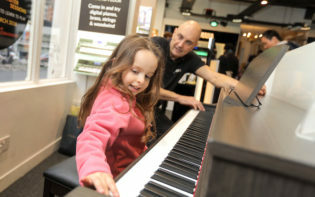 The Positive: How will the £600,000 that you’ve raised through the auction help the trust, how will you spend the money? Pete Waterman: The money that we’ve raised will play a very important role into putting the trust assets back into working order. It will enable us to restore our glorious rail items back into their full working order. 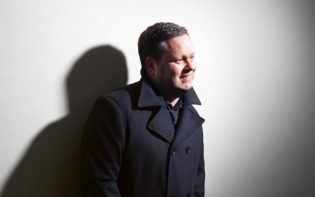 The Positive: Was it challenging to sell the trains that are so precious to you? 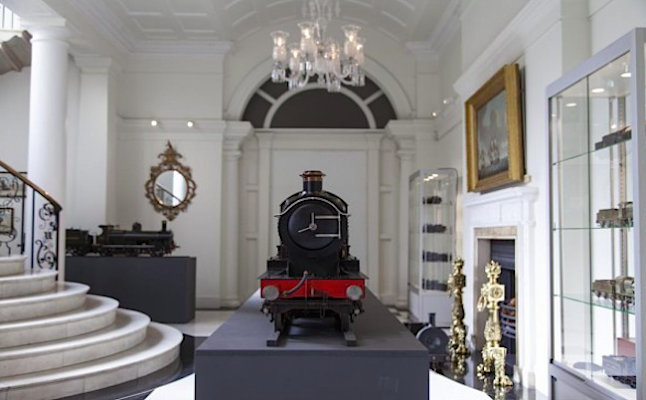 Pete Waterman: By selling the models it allows me to restore the real full life trains, which is my overall goal, so there’s zero competition between the two. The Positive: Is there a model train that you may keep forever? Pete Waterman: Yes – a model of 49395 Super D.
The Positive: How do young people get to become an apprentice at the trust? Pete Waterman: They apply to RETA (Pete’s newly formed training scheme based in Crewe). We’ve launched this organisation so that we can ensure that we can train a whole new generation of new train engineers; people who are properly qualified in this area. Pete has as great love for trains! The Positive: When did you first fall in love with trains, did you have a toy train set when you were young? Pete Waterman: 1948 – I was born near a train track and instantly fell in love with them. The first train set I ever had was in 1951. The Positive: What was the best train journey that you’ve ever had? Pete Waterman: Every journey is the best! Just to be on a fully working steam train is exhilarating and exciting. The Positive: What do you love most, music or trains? Pete Waterman: Music. Music is my first love and it provides me with the money to fuel my second passion which is trains. So music is definitely my priority, with trains a very close second. The Positive: What’s next for the Pete Waterman railway empire? Pete Waterman: RETA is my overall focus. We launched it in March this year because the railway faces many challenges and opportunities for the future and if the UK is to meet these needs then we must have properly trained engineers who understand the railway and the engines. So RETA is focused on creating a whole new generation of engineers who can meet those needs. The Positive: And what’s next for the Pete Waterman music empire? Pete Waterman: The Baby Jaynes, who are my new music signing. 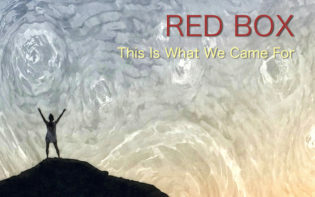 These boys have a fantastic sound and people can catch them live on Youtube now. Who is the most interesting celebrity you have meet?